A friend who organized Cosmetic treatment tours for European ladies to South Africa referred me to the Durban Cosmetic laser center many years ago. I had Laser hair removal on my upper lip and red spots removed on my chest & legs. I was so impressed, not only be the efficiency and the Laser Clinic atmosphere, but also by the care that was taken to make me feel comfortable to the treatments & make them as painless as possible. When I commented to my friend, she smiled and said “Yes, they really know what they are doing, don’t they!”. I have since returned every year and even kept some of my problems until I could present them to Debbie and her staff for treatments. The atmosphere of the Clinic has become ever more sophisticated over the years, but Debbie’s warmth and the courtesy of her staff luckily have remained the same! My acne broke out during my Matric year. Being stressed and under a lot of pressure my acne started to spread throughout my face, meaning every both sides of my checks, forehead and the side of my temples. To make matters worse I then broke out with chicken pox at the very same time throughout my face. As one knows a dermatologist can not treat one with medication for acne until my chicken pox went away. Once this passed I left with terrible ice-pick/holes scarring throughout my face. This caused me to sink into major depression and miss my Matric dance. I had no social life because I felt ugly. I was then referred to a brilliant Professor of Dermatology who treated me with the correct medication. 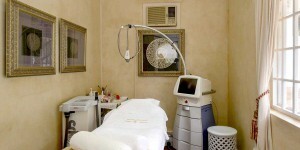 And referred me to her colleague Debbie Joffe at Durban Cosmetic Laser for a new revolutionary treatment FRAXEL LASER. I made an appointment in 2007 with Debbie, a wonderful kind and extremely knowledgable lady in her field. She talk me through the procedure and showed me the great effects and outcome of Fraxel Laser. As my skin was severely scarred I opted to go ahead with the procedure. Having ethnic skin Debbie started me on the lowest level of treatment and gradually progressed to the highest level over a few years. I started at the lowest level in 2007 and had a procedure every three months, having about 3 to 4 procedures a year. I continued treatments from 2007 (4 treatments), 2008 (4 treatments), 2009( 3 treatments) and my last treatment was in 2013 (November). In total 12 treatments. The treatments were costly but worth every cent. Today my skin is much more healed less acne pitted holed scarring and it has changed my personality from a recluse who hid indoors, who is now out and about and afraid to show my face. Today I feel confident beautiful and thanks to Debbie and Fraxel Laser. Why DURBAN COSMETIC LASER when there are so many centers out there? Here is why, I firstly was given the expert recommendation from my Professor of Dermatology and trusted her with my life. Debbie presented with extremely professional resume and came very highly recommended in her field and astound knowledge of the skin. And I knew then that I would be in great hands. Debbie and her staff made me feel so comfortable, and her interpersonal skills is amazing. I would personal recommend FRAXEL LASER to anyone who presents with the same problem I did. Not only does FRAXEL LASER treat acne, it also treats a wide variety of conditions which Debbie Joffie would gladly take you through. Oh and yes I am still a loyal customer of Durban Cosmetic Laser. Debbie and staff thank you for all you have done for me in restoring my beauty again. I have been to many spas and clinics around the world for various treatments. Debbie has created an exceptional blend in her approach. Never have I experienced such a professional, genuinely warm and friendly team. The setting is sophisticated, elegant and incredibly relaxing. I feel like I’ve found a hidden secret in Durban! I was plagued by ghastly facial hair & years of waxing or threading only just exasperated the condition. Until I met Debbie Joffe of Durban Laser & Cosmetic Clinic. A few laser treatments & electrolysis later, my nightmare was a thing of the distant past. 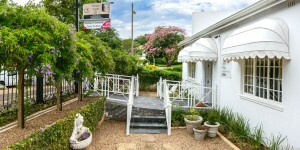 I have since recommended a number of now really very happy clients to the warm friendly clinic with its matching staff.